If you have recently attended an event and wish to pass on some feedback, please email us on alstonobservatory@uclan.ac.uk with your comments and/or any images you wish to share. 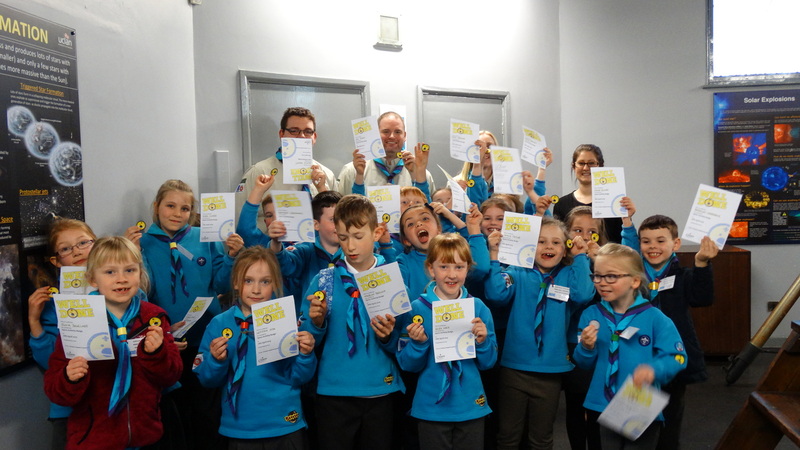 Thank you for hosting the visit of 1st Kirkham & Wesham Scout Group on Tuesday the 20th of January. Our group of 24 Scouts (10 to 14 yrs, both boys and girls) and five adult Leaders really enjoyed the evening, and it was impressive to see how engaged they were by your session. Please pass on our appreciation to the research students Adam and Dominic. 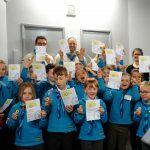 The scouts themselves commented on how engaging and enthusiastic they were. It has formed the perfect basis to complete our Observer badge, which since the visit many of our scouts have expressed a keen interest in completing. One scout even mentioned how as a result of our visit he would love to study this area as a career. As leaders it was also clear how organised and age appropriate their content was, and we can not thank you and your students enough. Thank you for hosting the visit of 1st Kirkham & Wesham Cub Scouts on the 15th December 2014. Our group of 21 Cub Scouts (8 to 10.5 yrs, both boys and girls), 2 Young Leaders (15 and 16) and four adult Leaders really enjoyed the evening. It was very impressive to see how engaged all ages were by the session that you led. I think the endless stream of questions from the Cubs are a good measure of how much they enjoyed the evening. Please pass on our appreciation and thanks to the research student Adam. Please also accept my apologies that this “Thank you” is a rather belated one, but, I know that the Pack are very keen to mark their appreciation and enjoyment of the visit.